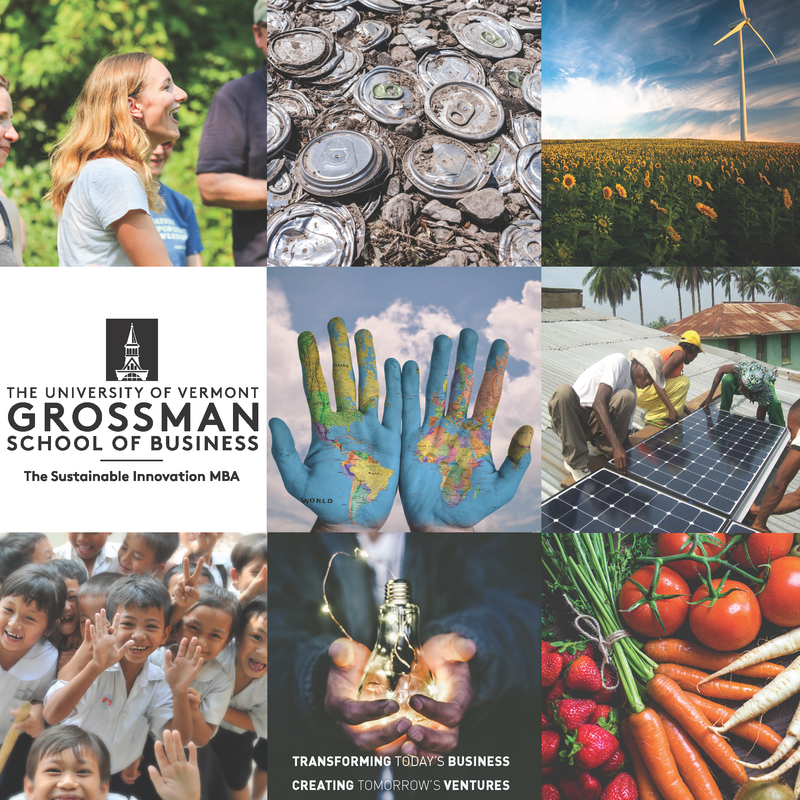 Ranked #1 Green MBA by the Princeton Review, the University of Vermont’s one-year Sustainable Innovation MBA was designed from the ground up to challenge the traditional MBA. We enlisted some of the greatest leaders in the field to design and shape our program. The result? We’ve fundamentally reinvented business education and the MBA degree to address directly the core challenges we face-- environment, ethics, poverty and inequality—through the lens of enterprise and entrepreneurship. In just twelve months, you receive an accredited MBA degree, which includes not only the basic MBA toolkit, but also the knowledge, skills, and capabilities to transform today’s business and create tomorrow’s truly inclusive and sustainable enterprises.